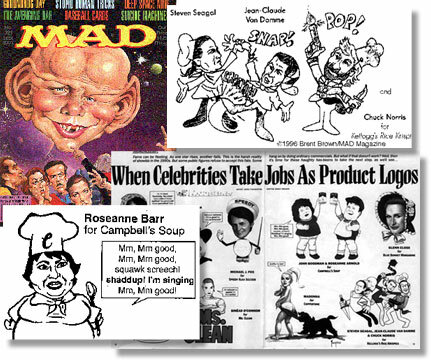 Like a lot of 70s kids, I grew up with MAD Magazine and it had a big influence on me. I still own all my tattered, and sometimes coverless, issues from that period, up to whenever it was there stopped being newsstands to impulse buy one from. 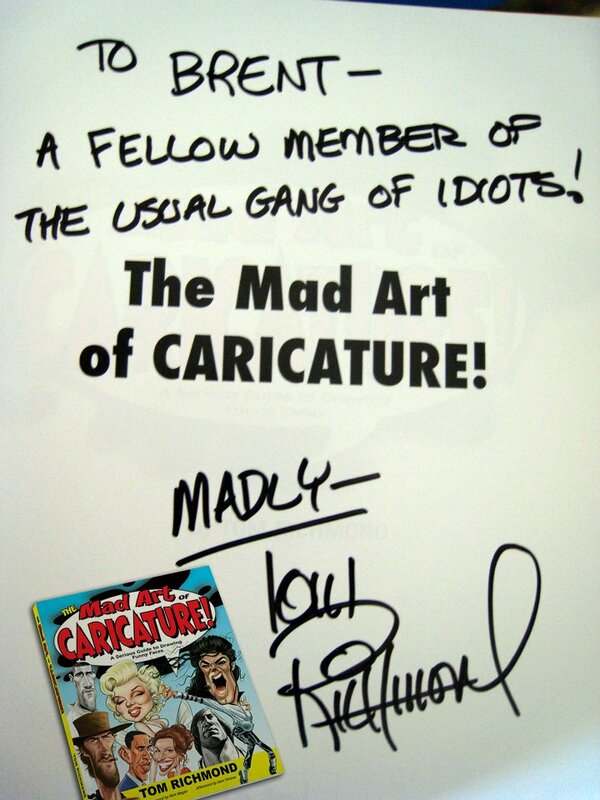 Not only was my sense of humor and irreverence affected by the “usual gang of idiots” but as a cartoonist, the way I approach the medium has the DNA of MAD all up in that. 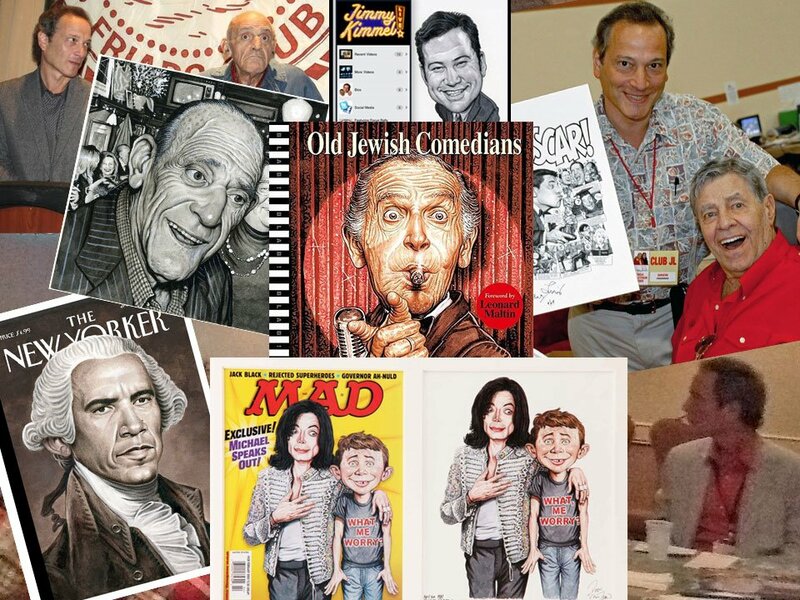 A few cartoons I’ve done for Mountain Xpress have been tributes to various MAD artists, from Don Martin, Antonio Prohias, Sergio Aragones, and Paul Coker Jr., to the first MAD man himself, Harvey Kurtzman. Even when I wasn’t attempting a blatant ripoff, I mean “homage” to the artist’s style, I can’t help but find myself being influenced by years of enjoying work from people like George Woodbridge or Wally Wood or Bill Elder. Brent Brown local TEDX cartoon using classic MAD man, Don Martin style. Click for larger version. 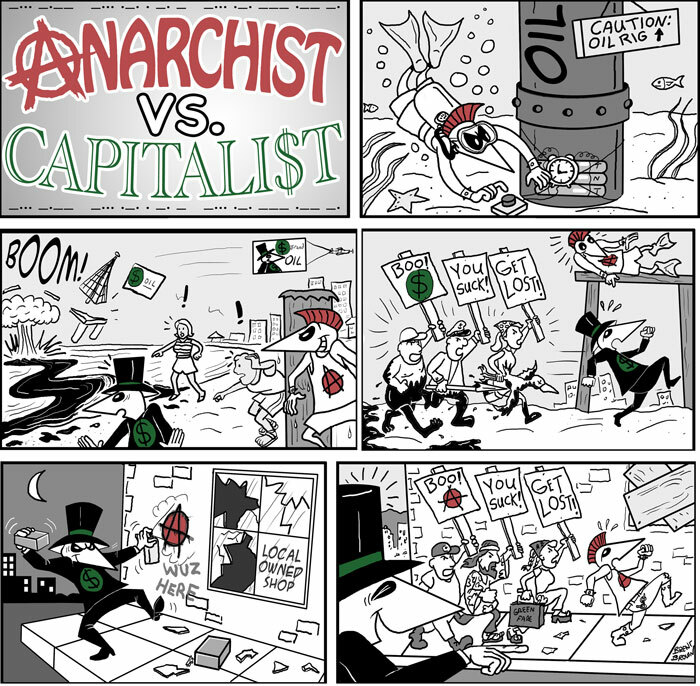 Brent Brown parody cartoon of Antonio Prohias MAD Spy vs. Spy strip for local paper. Clicken to Enlargen. Paul Coker Jr. style of MAD feature appropriated by Brent Brown for local version. Click for larger version. Sergio Aragones style for local evidence room scandal. Click for larger. Woodbridge-esque influences in my work. 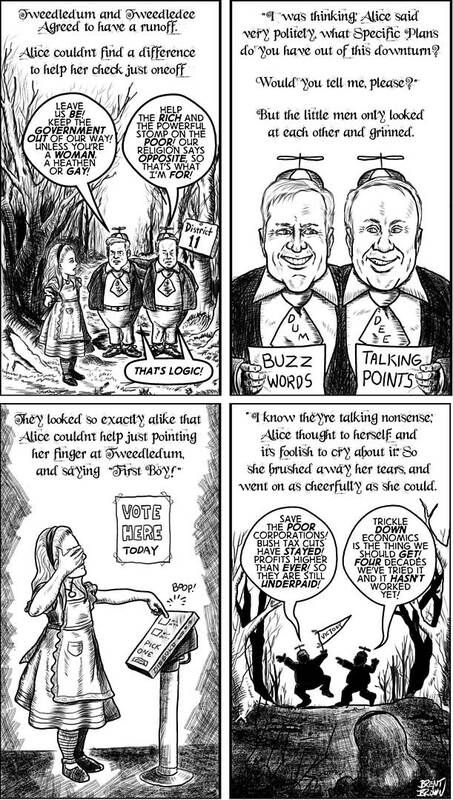 John Tenniel-type Alice illustrations with “Bill Elder/Wally Wood” influences comic on local Tweedle-Dum candidates by Brent Brown. Harvey Kurtzman-esque comic by Brent Brown about local Duke-Progress merger. 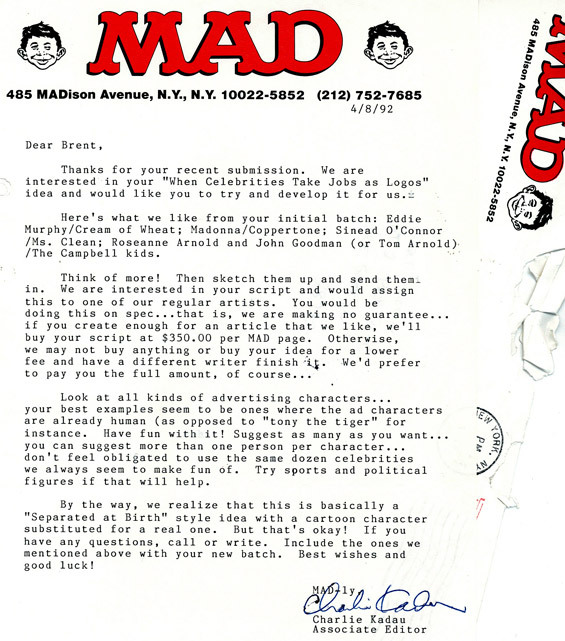 In the early 90s, when I went from doing boring commercial art in ad agencies to full-time starving doing interesting freelance, I submitted some cartoons and ideas to my beloved MAD, sure I would get the same nice rejection letters I got from cartoon syndicates I sent my attempt at a comic strip to earlier. To my delighted surprise, they actually were interested in my submission and subsequently bought it! When issue #321 came out, there I was: Writer: Brent Brown. 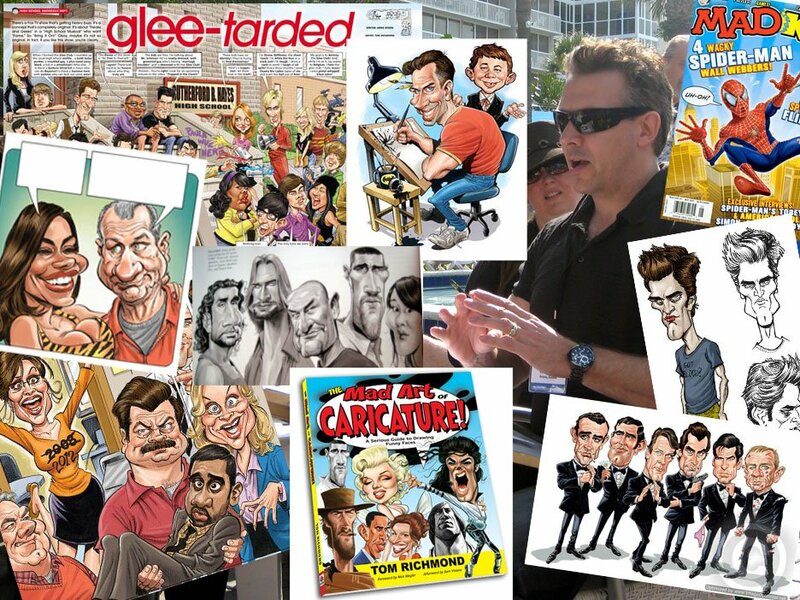 Oh, they had another artist re-draw my cartoons. 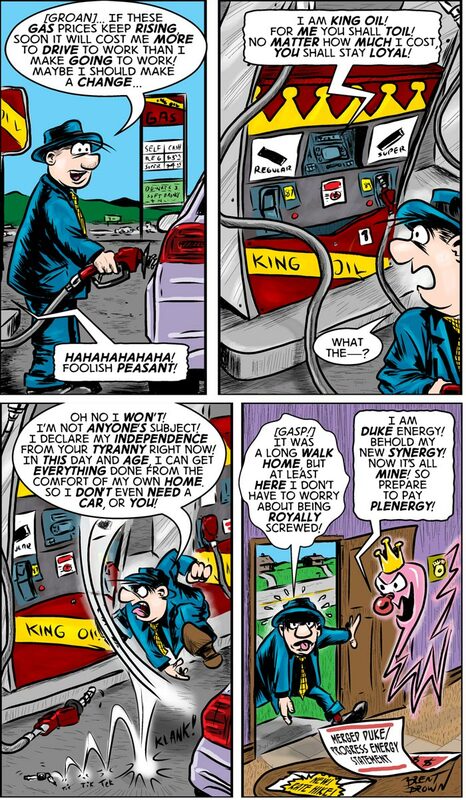 So I am still not a MAD cartoonist, just a writer. Oh well, I would still forever be linked to my MAD muse in the history of contributors! 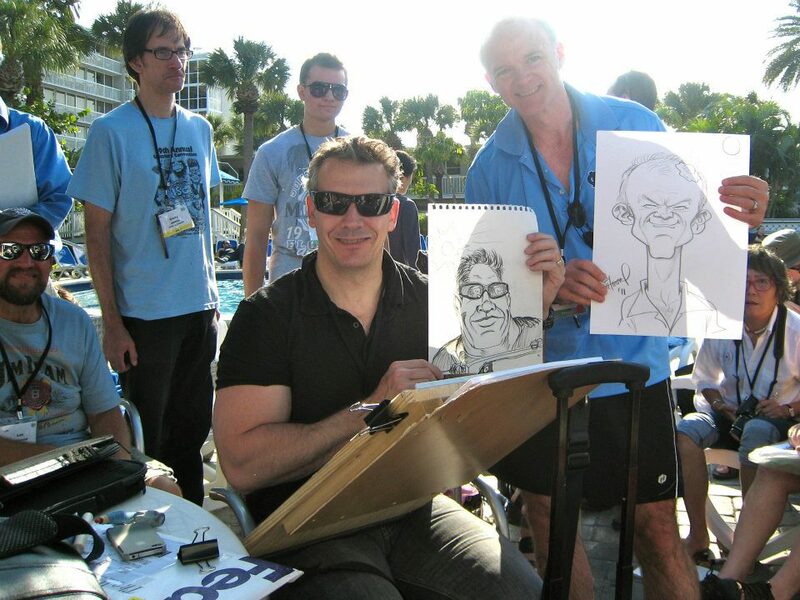 A few years later, I applied for, and was summarily rejected from, membership in the National Cartoonist Society (when I found out they existed and contained so many great cartoonists that I would have loved to have met during their yearly conventions, held in various parts of the country). One of these annual meetings in particular was going to be quite close to home. RIght here in Asheville, NC at the Grove Park Inn! 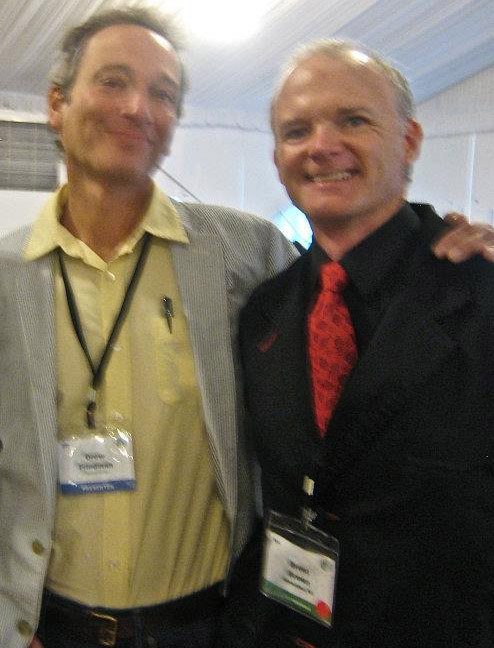 Since I was not a member, I couldn’t go to the convention or the main event, the Reuben awards, not as an attendee anyway, but having such luminaries so close was too tempting. I had to figure out some kind of plan to worm my way in amongst my heroes that were going to be practically in my back yard. Now, I had been hired by the Grove Park Inn on many previous occasions to draw caricatures for various gatherings at the grand hotel and so my plan was to put on a tux (or as close to one as I could approximate for the black tie dinner being held in one of their ballrooms that night) and just set up my easel and to put up a sign that said “free caricatures” in front of the ballroom where the awards ceremony was being held, pretending that the hotel had hired me to be there! This is what I did. Of course, I had no right to be there, but no one questioned it. Even when the entrance (where I had borrowed two chairs to set up to draw) had become so packed with participants in penguin suits that I—and the few I was able to draw before the ceremony started—could barely move or be seen any longer. I wasn’t able to talk to Sergio Aragones, who was being honored that night, but I did meet several cartoonists (one who did a caricature of me at the same time I was doing one of him, he declared me “the winner, hahah” but I can’t remember his name, although I have the drawing here, somewhere, still) and I even met Mad artist Bob Clarke, who recently passed away, who was happy to autograph my “Complete MAD” compendium that I “happened” to bring along with me. 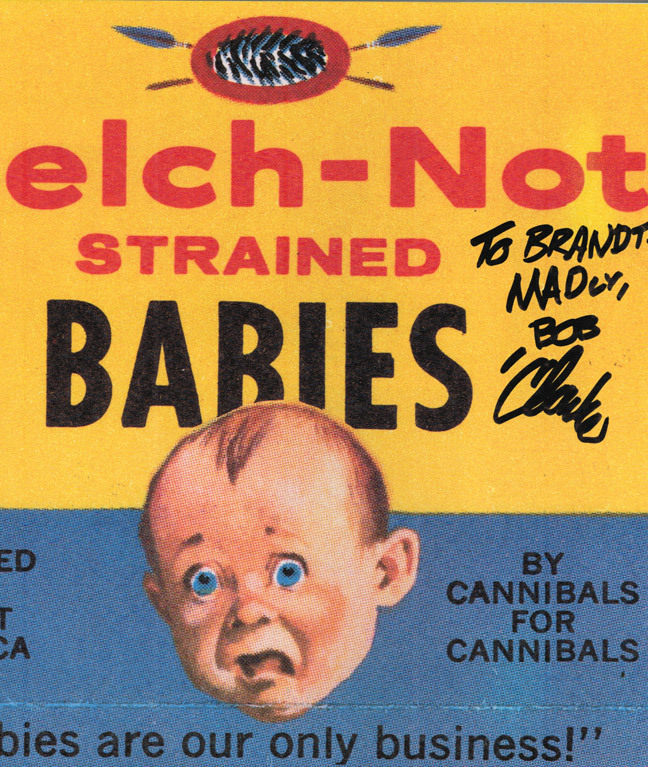 I still treasure that, even though he inscribed it “To Brandt.” (see below) as he was not able to hear me very well over the din. It was a pretty crazy idea, but I was glad I went through with it. I never tried to reapply for membership though. As far as MAD goes. 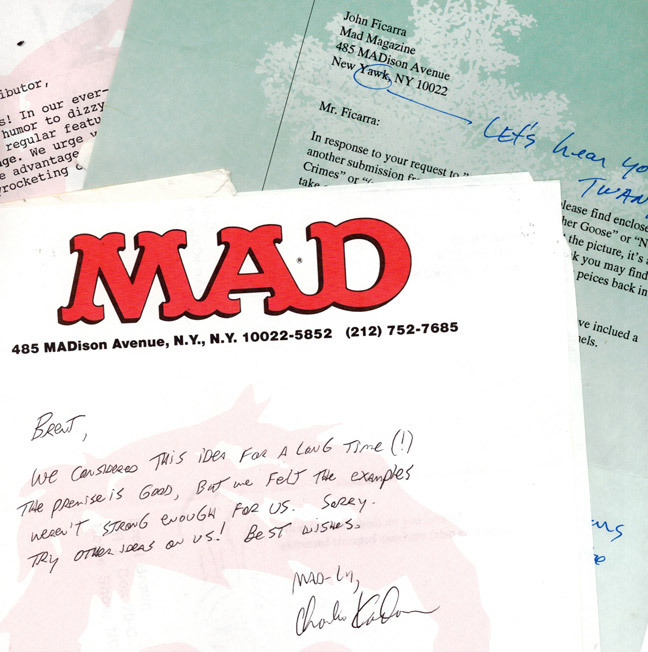 The last correspondence I got from the MAD editors was in 1994, asking for more submissions for their “potpourri page” but I never got around to coming up with any ideas to send in and I never did. Just this week, however, I’ve received in the mail, my first issue of MAD in years (from a subscription deal I found online and decided to see what’s been going on) and I see I can now download the whole issue on my iPad as well (with interactive all kinds of stuff). Seeing the many new contributors that make up this modern MAD makes me wonder why I had not sent in any more submissions in after their last request, and at this point, I can’t remember, but time must just have gotten away from me, and other projects came up and I probably also just ran dry regarding new and different ideas that they had not done similar things about before. However, as I see the modern day MAD, where they are apparently still looking for and accepting such stuff (even more than they used to, it would seem) I’m thinking it’s not too late to try again. I wonder if they accept digital submissions though, as I haven’t had any letterhead since the Clinton administration. This entry was posted in look:, Uncategorized and tagged 321, Bob Clarke, Don Martin, Drew Friedman, Harvey Kurtzman, Horrifying Cliches, MAD Magazine, Sergio Aragones, Spy Vs. Spy, Tom Richmond by bre bro. Bookmark the permalink.